−　My elective at St. Luke’s International Hospital was an enriching opportunity to build on my clinical skills in the inpatient ward, outpatient clinic, and perioperative settings. During my four week rotation, I was exposed to the nuanced differences in clinical management between Japan and the US in the context of the vastly different infrastructure, reimbursement mechanisms, medico-legal environment, and cultural differences between the two medical systems. The other medical students, residents, and attendings were all welcoming and created a supportive environment for learning and collaboration. （MD Anderson Cancer Center 麻酔科教授） Anesthetic Techniques and Cancer Recurrence: Is there a role or just wishful thinking? 長坂安子. 異国交流インタビューin English　日本の無痛分娩の将来は? 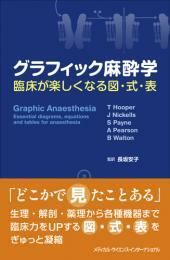 Dr.William Camannに聞く②.483. 2019 Apr;122(4):e64-e66 Nocturnal desaturation early after delivery: impact of delivery type and the beneficial effects of Fowler's position. 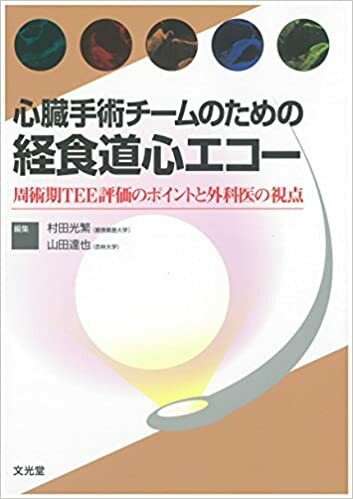 Fujita N, Grabitz SD, Shin CH, Hess PE, Mueller N, Bateman BT, Ecker JL, Takahashi O, Houle TT, Nagasaka Y*(Corresponding Author), Eikermann M.
2015年 Journal of Surgical Education A Simulation Curriculum for Management of Trauma and Critical Care Patients. Miyasaka KW, Martin ND, Pascual JL, Buchholz J, Aggarwal R.
2014年 Surgical Endoscopy Design, development and implementation of a surgical simulation pathway curriculum for biliary disease. Buchholz J, Miyasaka KW, Vollmer C, LaMarra D, Aggarwal R.
2011年 Journal of Medical Devices Learning the Art of Disciplined Innovation. Bardot D, Dahl M, Fischer G, Miyasaka K, Johnson M.
2011年 Conf Proc IEEE Eng Med Biol Soc A novel mainstream capnometer system for non-intubated pediatric patients requiring oxygen administration. 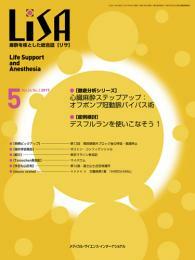 Takatori F, Yamamori S, Inoue M, Abe S, Miyasaka K.
2016年10月22日 American Society of Anesthesiologists 2016 annual meeting Anesthesia for Centenarians: A Case Series From Japan Tokuhito Hayashi, M.D., Manabu Hashimoto, M.D., Kiyoyuki Miyasaka, M.D., Yasuko Nagasaka, M.D.,Ph.D. 2016年10月22日 American Society of Anesthesiologists 2016 annual meeting Emergent Pulmonary Embolectomy During the First Trimester of Pregnancy Mari SAKUMA, M.D., Osamu Okada, M.D., Motoshi Tanaka, M.D., Yasuko Nagasaka, M.D.,Ph.D. 2016年10月22日 American Society of Anesthesiologists 2016 annual meeting Sensitivity to Sevoflurane Anesthesia is Decreased in Mice With a Congenital Deletion of Soluble Guanylate Cyclase Alpha-1 Yasuko Nagasaka, M.D.,Ph.D., Martin Wepler, M.D., Robrecht Thoonen, Ph.D., Patrick Y. Sips, Ph.D., Jan Adriaan Graw, M.D., Keith Miller, Ph.D.5, Ken Solt, M.D., Emmanuel S. Buys, Ph.D.5, Fumito Ichinose, M.D.,Ph.D., Warren Zapol, M.D..
2015年10月4日 第4回IAMPOV国際シンポジウム Design of audible capnometric cues. Miyasaka KW, Aoki T, Inoue M, Yamamori S, Miyasaka K.
2015年6月22日 The Hamlyn Symposium on Medical Robotics Analysis of the Instrument Vibrations and Contact Forces Caused by an Expert Robotic Surgeon Doing FRS Tasks Brown JD, O’Brien C, Miyasaka KW, Dumon KR, Kuchenbecker KJ. 2015年4月28日 University of Pennsylvania, Master of Science in Translational Research Thesis Defense Developing and implementing an effective simulation-based curriculum for surgery resident education: Bringing science to the art of teaching medicine. Miyasaka KW. 2015年2月3日 Academic Surgical Congress Approaching surgery simulation education from a patient-centric pathway. Miyasaka KW, Buchholz J, Aggarwal R.
The anesthesia elective at St. Luke’s International Hospital was an unique experience that allowed me to acquire new knowledge and techniques while concurrently gaining a better understanding of the Japanese Healthcare System. The Anesthesia Department personnel is very knowledgeable, highly skilled and provided an environment that helped me achieve my learning goals and objectives. St. Luke’s International Hospital handles a wide variety of adults and paediatrics surgical cases. The operating rooms are equipped with state-of-the-art medical technologies which allowed me to practice and master my technical skills. This elective was highly educational and filled with positive cultural experiences.